BrIQue Software Private Limited is upcoming enterprises in IT Sector with our very own IQers team, a winning attitude, our aim is to see to it that our customer receives the highest satisfaction from our wide range of SAP services. Take You Ahead into the world of digitalization to become a strong and leading organization that offers robust solutions to clients globally. All our products interface with the SAP ERP solutions. 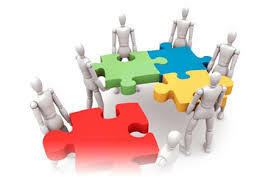 We have strong team of in-house consultant. We have flexible SAP solutions to suit your business needs and assure you of our proven methodology with reporting. Small and Medium businesses form the backbone of our economy .Tech major SAP has partnered with the Ministry of Micro, Small and Medium Enterprises (MSME) and would like to focus this MSME industry to help them streamline and integrate key processes like financials, sales and inventory with a single business software. According to the Annual report published by the Ministry of Micro, Small and Medium Enterprises, India is home to over 51 million SMBs in the last count, and this number is growing trusted brand and global footprints of SAP for easy integration between HQ and Subsidiary, Providing extraordinary support before, during and after the project. SAP Business One automates your critical business processes to improve operational efficiency and integrates all business information to drive sound decisions with clear visibility company-wide, you can gain greater control over all business areas, see who your best customers are, and serve them better. I am really impressed by the quality of services I received from Brique Software. They were right on schedule, charged reasonable prices, were professional and courteous in dealings, and delivered items well before time. My revenue has increased because of you, and I will definitely use your services again. Thank you! This is a company I can recommend to anyone to perform work. We have worked with Brique Software on various projects, and find that they provide quality service and expertise for our software needs. It is rare to find a service provider with such professional consistency - they are a valued service provider to our business. ©BriqueSoftware Copyright 2017. All Rights Reserved.